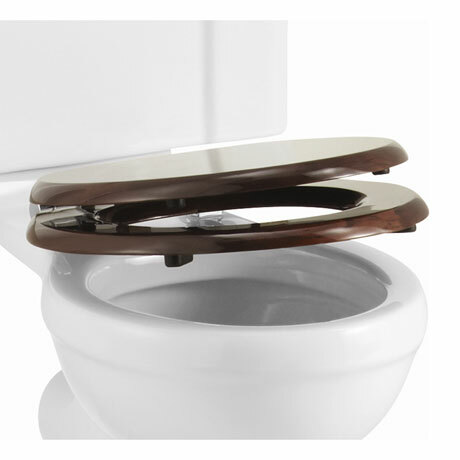 This soft close toilet seat is made to the highest standards by Burlington. Crafted from moulded wood and finished in Mahogany, the seat features chrome plated hinges with soft closing mechanisms. This elegant seat will fit beautifully into all traditional and period bathrooms. Q. Is this seat available with brass or gold slow close hinges? Looks beautiful good quality very pleased. Very good quality and solid build. "Quality seat, with fantastic soft close."